We love found ring stories! 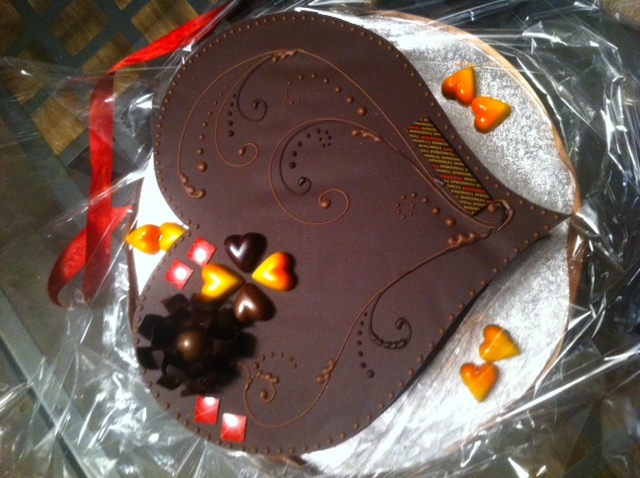 And this one certainly captured our hearts. It shows the power of observation, ingenuity (and social media!). But more than that, it shows the conscientiousness and care of a man who took the time to find the owner. Remember: when deciding on a wedding or engagement ring, the way it fits is everything. Take the time to feel the fit of the ring to ensure a snug (but not overly tight) wearing experience. I’ll tell you…what’s a guy to do? This has been the year of amazing, over-the-top, high-on-production-value wedding proposals splashed all over the Internet. Roses and dinner seem perfectly cliche next to these show-stoppers. (With that said, a heartfelt proposal means the most of all, so don’t let these intimidate you. 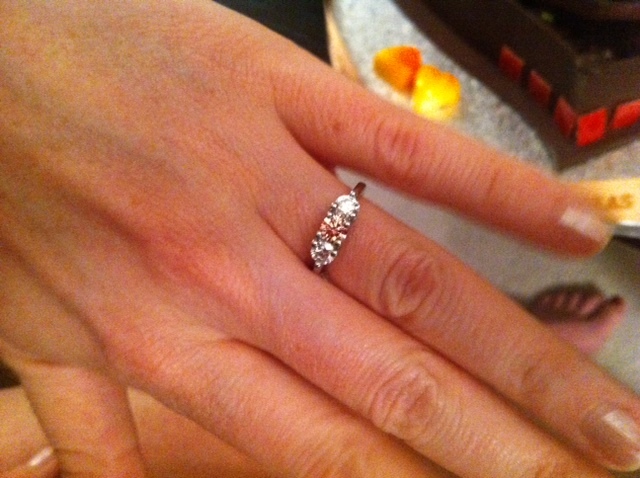 Also choosing the best engagement ring possible kind of makes up for dance routines and skygliders and stuff.) View the Top 10 Cool YouTube Wedding Proposals here. If you know anything about our team here in Scottsdale, it’s that we’re hopeless romantics. 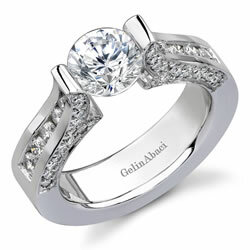 We like nothing more than to hear your heartfelt engagement story or the tale behind a family heirloom. So when I read this in JCK this morning, I thought it would be a great way to start the week. I’m sure you’ll agree. Lesson to be learned: love takes time. And it always comes back to you. In the 1940s, Private David Kershaw received two rings as a token of appreciation from a Polish jeweler who had just been released from a concentration camp. “I gave him two silver dollars and he made a ring from each,” Kershaw tells JCK. The jewelry was designed as “pre-engagement rings,” inscribed with David’s name on one, and his girlfriend Jeanne’s name on the other. Yet Kershaw kept the rings in a safety deposit box. “I never showed them to anyone,” he says. Kershaw and Walker went on to live separate lives and didn’t keep in touch. 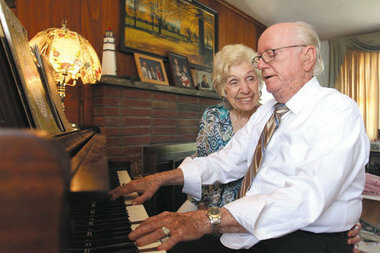 Kershaw earned his engineering degree in 1950, the same year he married Clara Wahl, his wife of 61 years. The two had a long, happy marriage and raised two sons. Jeanne became a registered nurse. She married twice and raised two sons (one of whom died). 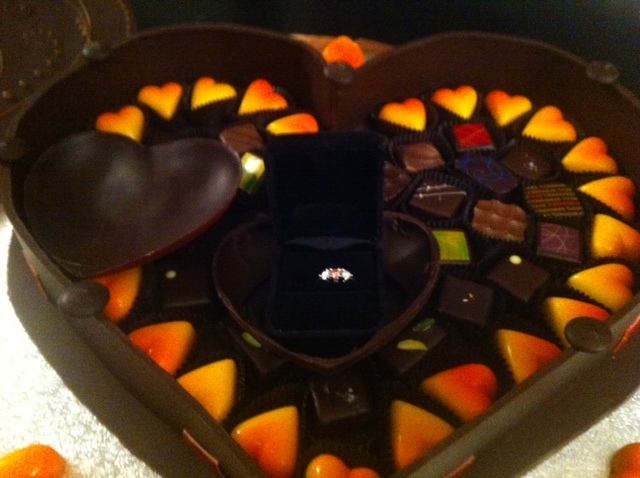 A Yummy Way To Present A Ring! Looking for a creative way to present a beautiful piece of jewelry to your loved one? 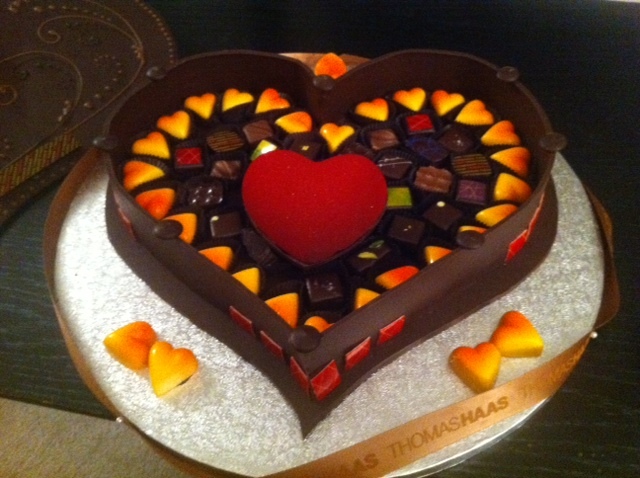 Here’s one that involves two of our favorite things: jewelry and chocolate. It’s from our prior Current Custom Projects page found here. Jewelry has Gone to the Dogs! While it’s experiencing some changes—relocating, closing and opening stores—one thing remains the same, Cartersville Jewelry Exchange continues to raise money for its favorite charity, Canine Assistants. With its Batteries For Charity program, which began in 2009, the local business introduced a new concept in the jewelry industry—free watch batteries in exchange for charitable donations. Cartersville Jewelry Exchange recently wrote a check for the $15,500 it raised through the program, and Harrison said it’s not stopping now. “Our goal is specific to raise another $15,500 to sponsor a second dog to donate to a child in need,” he added. This year, the outlet has made several moves—closing its Jasper store and relocating it to Canton, moving the Cartersville store to another shopping center in town and opening a new location in Rome, while continuing its ongoing operation in Calhoun. Rose Quartz - The loving stone, helps attract love, and joy. Aventurine – . A healing stone, gives emotional well being, stimulates creativity. Agate – The gardening stone, gives protection and self confidence. Bloodstone – The courage and healing stone. Carnelian – The stone of energy, restorative to mind and spirit. Quartz – The healing stone, helps with emotional, physical, and mental ills. 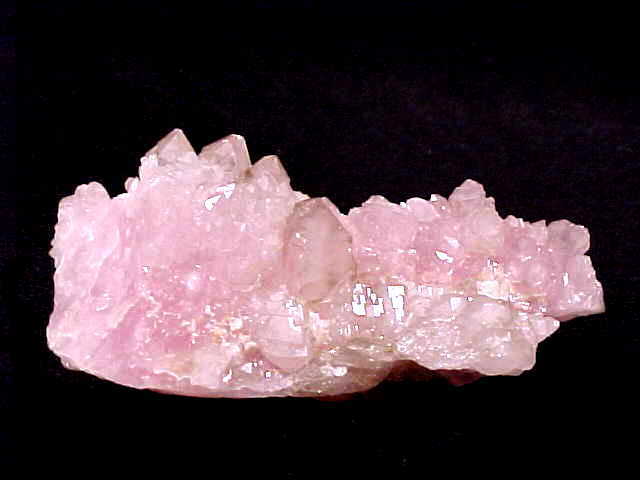 Rose Quartz – The loving stone, helps attract love, and joy. Ruby – Protects against negativity, helps relieve physical ailments. Sapphire – The purity stone, brings sense of accomplishment, reduces negative thoughts. Snowflake Obsidian – The protection stone, brings emotional peace. Sodalite – Protects from negativity in your immediate space. Tourmaline – Brings self assurance, calm, protects against negative people. Turquoise – The friendship stone, relieves guilt, brings peace of mind..
We’ve thought we heard them all until I stumbled across this video yesterday. Jeff assembled a team of 20 animators to create his very own 5 minute animation as a way of proposing to his girlfriend Natasha. When it was finished, he brought her to the Parkway Movie Theatre in Oakland, where they played the animation on the big screen in front of over 100 of their friends and family. 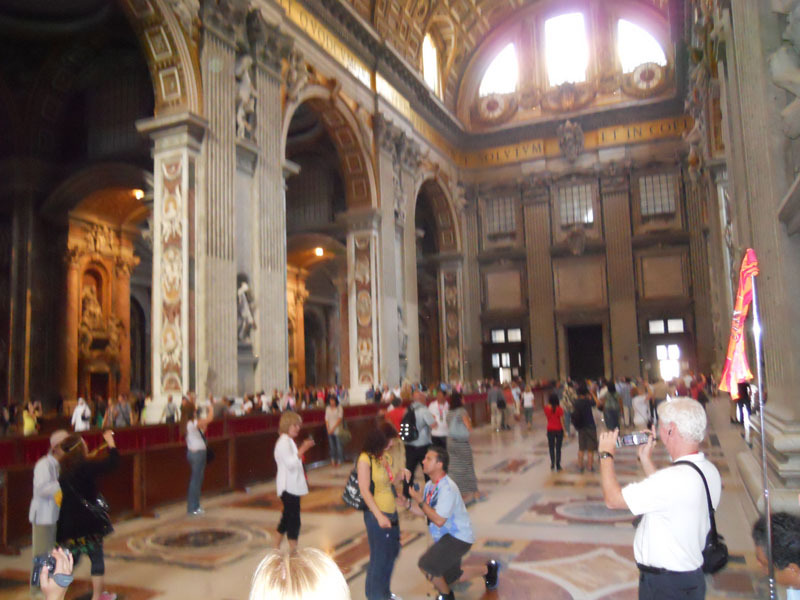 Dan and Diane’s Proposal at the Basilica! On September 15, 2010, Diane and I took an excursion into Rome from the cruise ship. Our excursion took us to the Vatican City where we walked through the Vatican museum. Then we went through the Sistine Chapel, and to St. Peter’s Basilica. There, in the middle of the Basilica, I pulled Diane from the tour into an open space. I held her hand and looked her in the eye and said: “Baby, we’ve seen some of the most beautiful things today, created by the hand of God, but nothing as beautiful as you,” as I dropped to my knee and showed her the engagement ring. Then I said, “I love you so much, will you marry me?” She started to cry and said: “I would love to…I love you so much.” I put the ring on her finger and had a deep romantic kiss as the folks looking on started to clap. That photo was sent to me by someone on the tour. People we didn’t even know were coming up to us and giving us hugs and kisses. It was awesome. P.S. Thank you Joe, so much for helping me with the ring. It made a beautiful experience really shine.